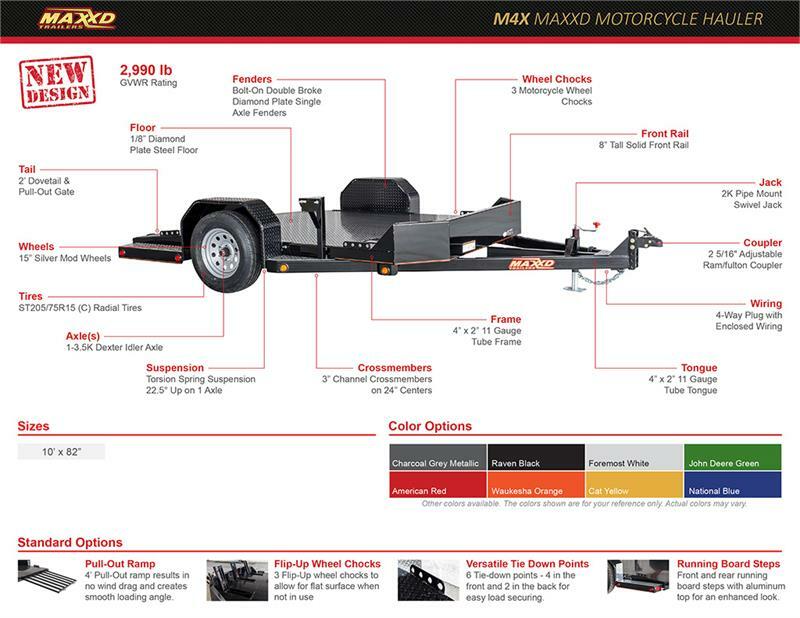 M4X - The M4X is specially designed to haul your motorcycles. 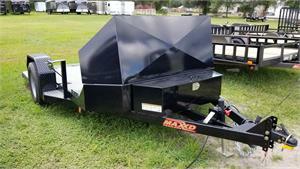 It has 3 wheels chocks to be able to haul up to 3 bikes depending on the bike and load configuration. 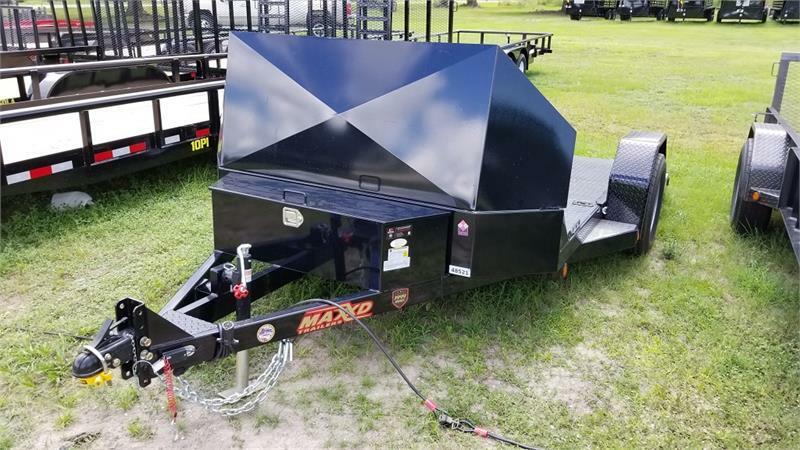 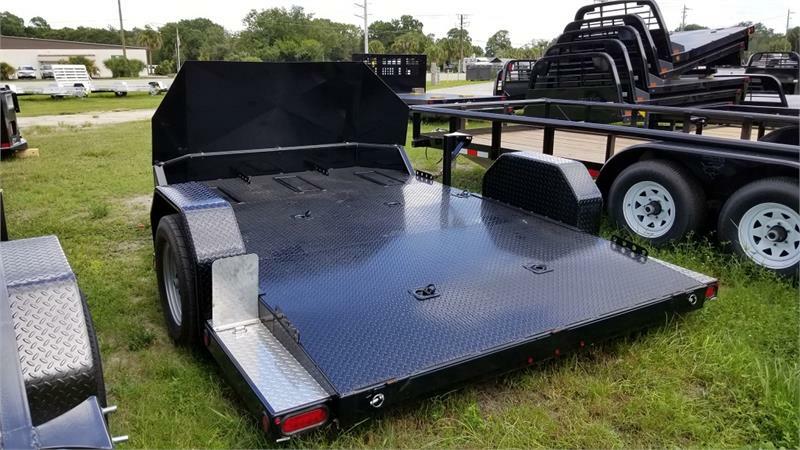 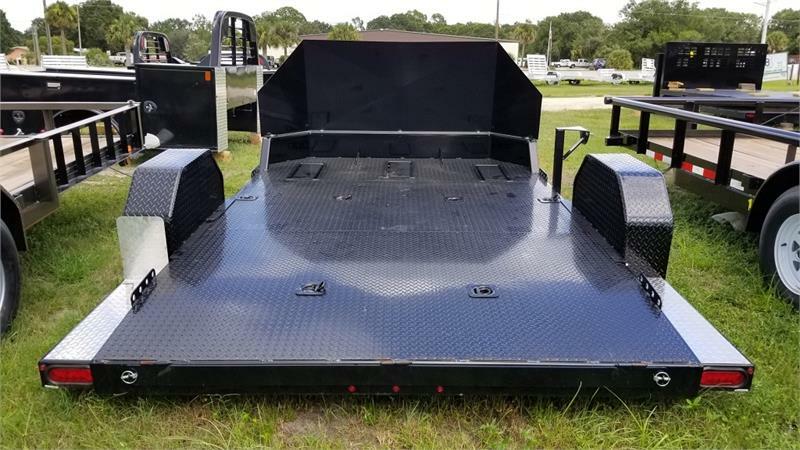 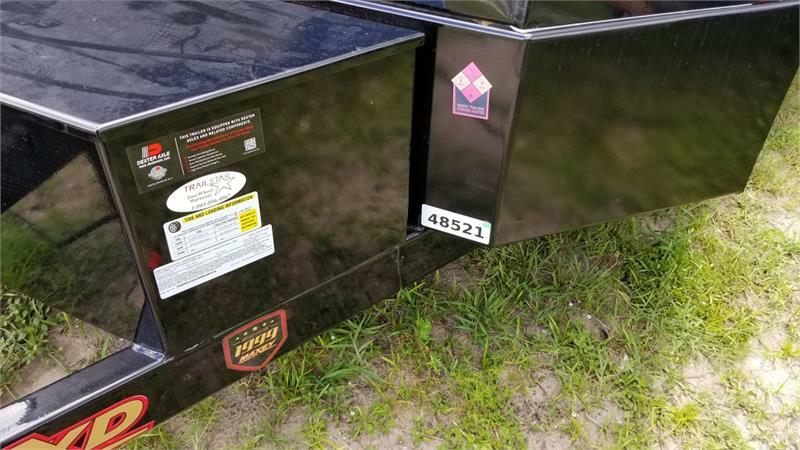 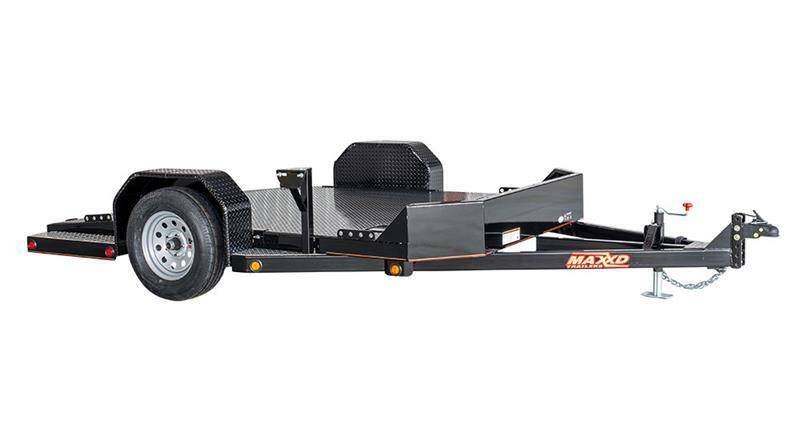 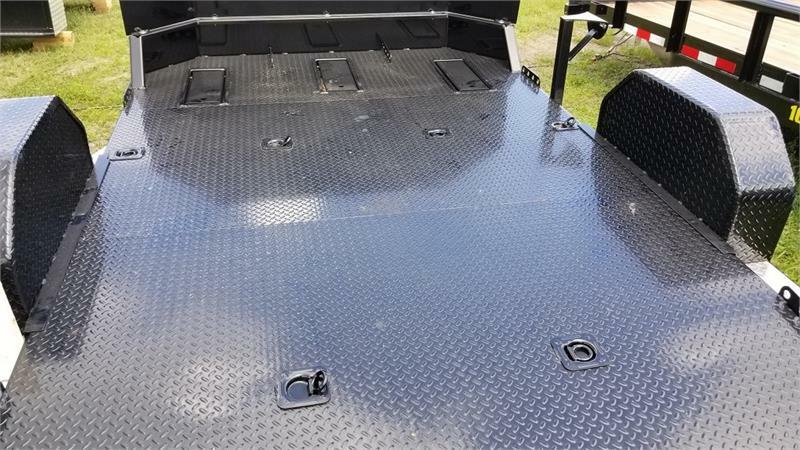 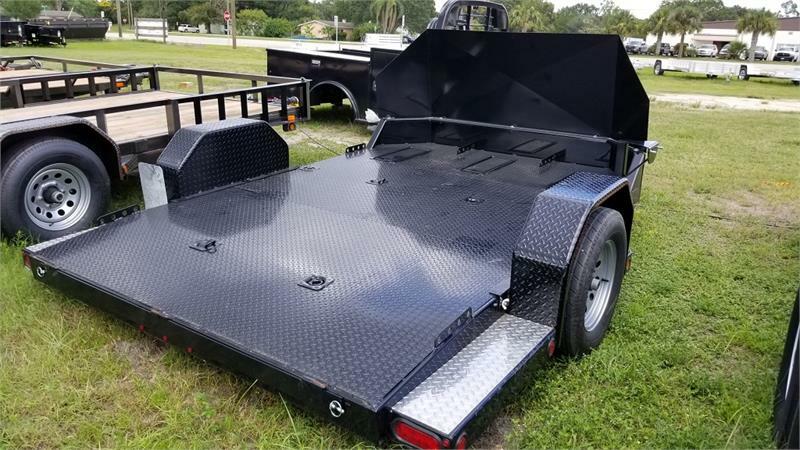 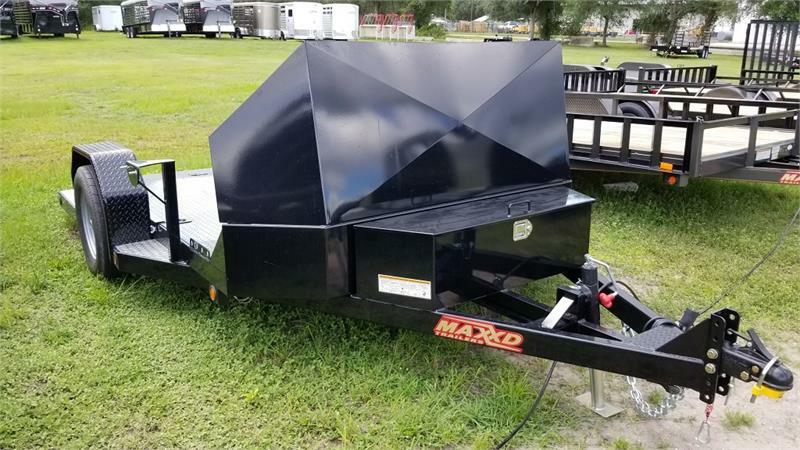 It comes with a torsion drop axle for a super low deck and a 2' dovetail with a pull out ramp and in the back for easy loading. 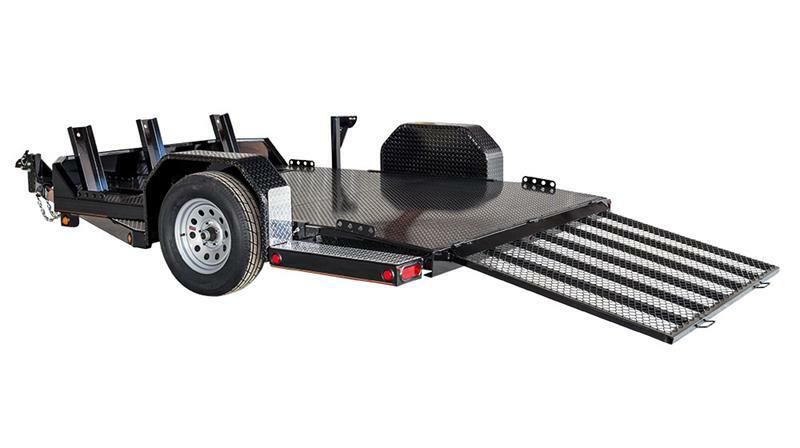 It comes standard with a 3,500 lb Dexter idler axle with a 2,990 lb GVWR. 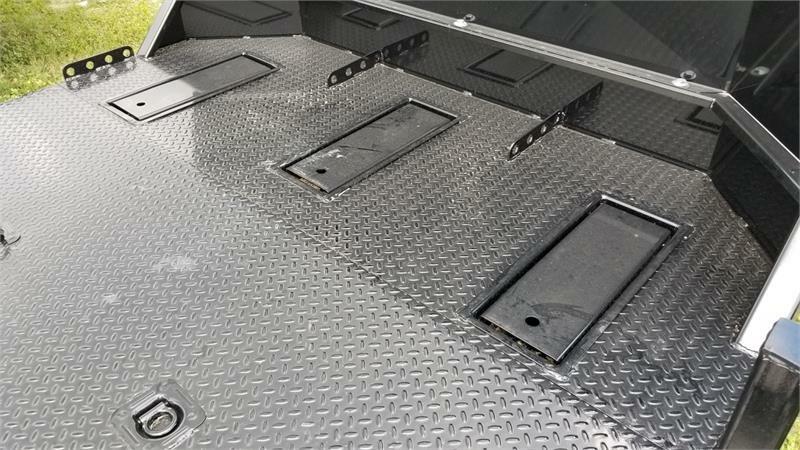 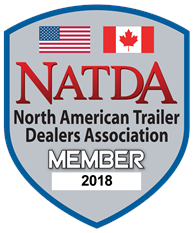 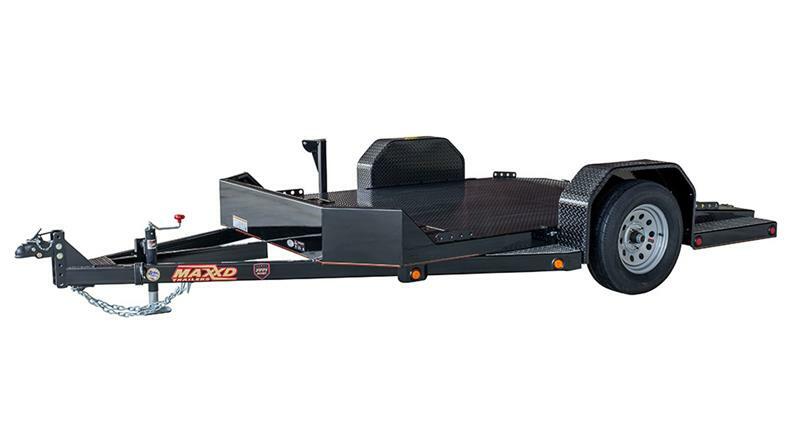 Empty trailer weight is approximately 1,400 lbs for a carrying capacity of 1,590 lbs. 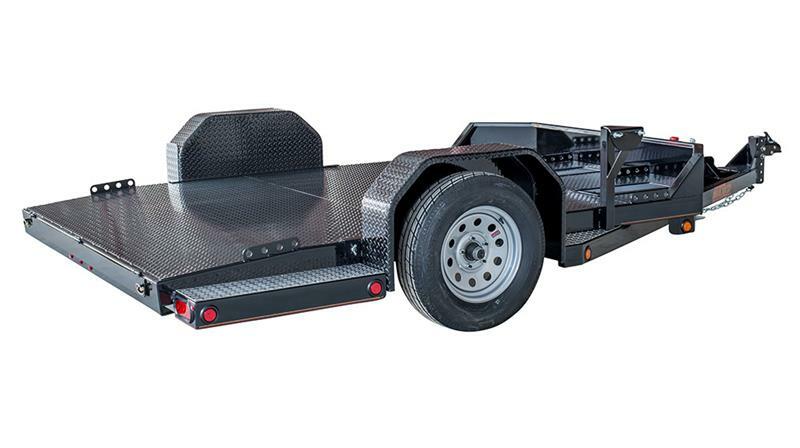 It is upgradeable to a 5,200 lb brake axle which results in a 5,200 lb GVWR and a 3,800 lb carrying capacity.